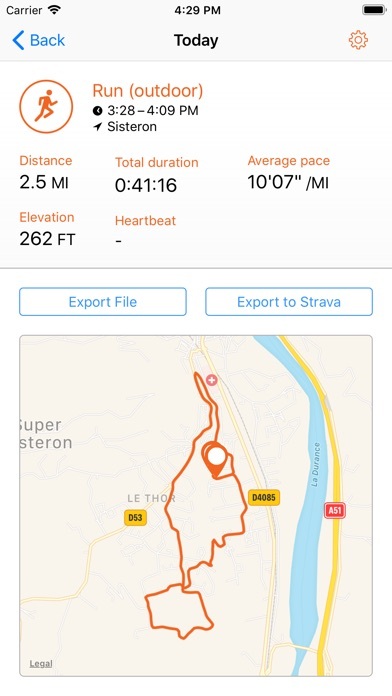 Record your workouts on the Apple Watch and get them in Strava automatically! No other app neither phone required during your training. Super easy: only your watch is required during the workout. 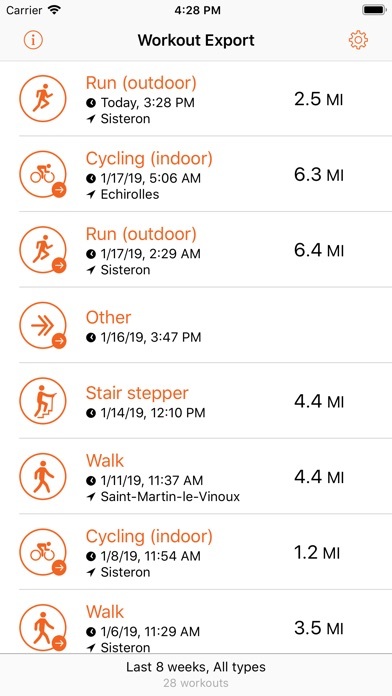 Simply record your activity with the application Workout available on the Apple Watch. Once back connected to your iPhone, the application exports automatically (in background!) the new workout to Strava. You can also disable automatic export and manually select which one to export. ● Requires access to Health data ● Automatic or manual export workout to Strava (requires a free Strava account) ● Export running, cycling, swimming, walking, hicking, rowing, elliptical, stepper, HIIT and yoga workouts ● Export GPS route and heart rate when available (starting from Watch serie 2). 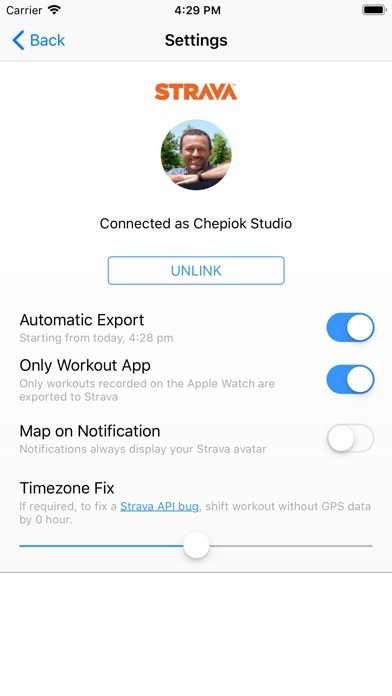 ● Export indoor workout on treadmill or training bike ● Export GPS route as a GPX or TCX file in order to be imported in any other mapping software ● Export any workout visible in Health app, including the one created by a third party tracking application Note that the only exported data are the one you asked for and only to Strava servers. Feel free to send me your need and ideas at support@megy.net or on http://support.megy.net.